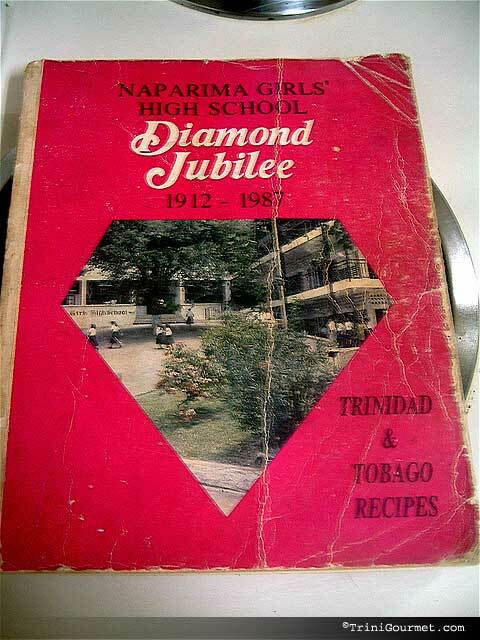 Wow how would one describe the Naparima Girls’ Cookbook? This book has become -the- defacto Trinidadian cookbookfor Trinis both locally and abroad. It’s given to brides and to students preparing to go overseas (that’s how I got mine). In fact it’s such an institution that it’s easy to forget that it only began in 1987! Conceived as a fundraising tool for the Naparima Girls’ High School the Naparima Cookbook recently underwent considerable revision. Gone is the practical ‘copybook’ size and compact printing of yore (that’s my well-loved and worn copy above). Instead gloss and high saturation colours were introduced. I don’t care for the new large elongated size but I appreciate that many of the recipes have been updated to reflect modern health-conscious preferences. I also enjoy the ample use of color photography. However there’s something no-nonsense and utilitarian about the original that I adore. The Multi-Cultural Cuisine of Trinidad & Tobago & the Caribbean brings together a collection of recipes reflecting the tastes and cultures of the diverse ethnic groups of Trinidad & Tobago. This revised and improved edition includes more than 500 recipes and 32 colored photographs. Thousands of copies of the Diamond Jubilee edition have been sold and we are pleased to know that this book is being used by individuals, families, schools and caterers throughout the world. Many people have referred to the book as a complete one, with great recipes, simple methods and excellent results. Many of the recipes have been handed down from generation to generation. For several years now people in the US and Canada were able to purchase the Naparima Girls’ Cookbook on Amazon.com via a local online distributor. I’ve noticed however that that arrangement seems to have ended though, and second hand prices on Amazon have skyrocketed to the insane $148.50 US! I spent some time the other day looking to see what other alternatives I may be able to offer to people interested in purchasing this book. I was happy to find the following site, calling itself NaparimaGirlsCookbook.com (appears to be Canadian) that promises to have the book in stock at the MUCH more reasonable ($38 CAD). 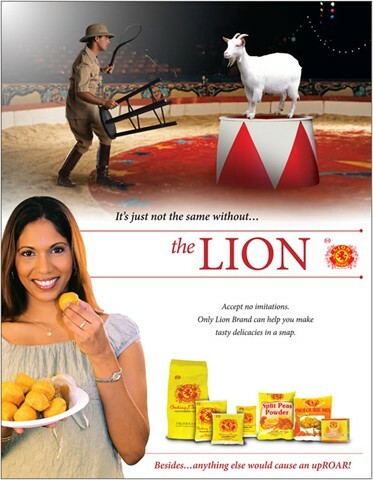 TriniFood.com is also offering the book to US, UK, and Canadian customers for $45US. I have no affiliation with, or first-hand experience of, either operation, so do your due diligence, and if you have any problems feel free to let me know so that I can alert others. 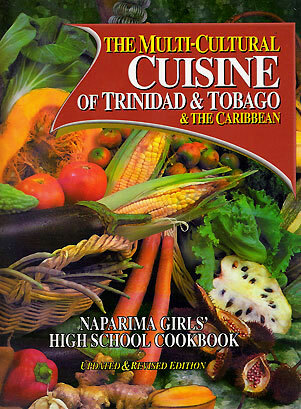 Either way, I consider the Naparima Girls’ Cookbook the best publication for anybody who is interested in learning more about Trinidadian cuisine. You won’t get many stories or context, for that you’ll have to turn to Ramin Ganeshram’s Sweet Hands: Island Cooking From Trinidad And Tobago . No, the Naparima Girl’s Cookbook is interested in one thing, and one thing alone – getting Trini-styled food on to your table ASAP. I have been alerted that the Canadian site NaparimaGirlsCookbook.com wanted $90CAD for shipping and handling! Valerie at NaparimaGirlsCookBook.com responds! I have combined her replies, you can see them in their original format in the below comment thread. You can read the original customer’s reply to Valerie and all subsequent comments here. As promised, the Naparima Girls’ High School Cookbook is now available for purchase on TriniGourmet.com at the flat rate of $45 USD (includes shipping and handling). Click here for more details. Poll Results: How Familiar Are You With Caribbean Cuisine?